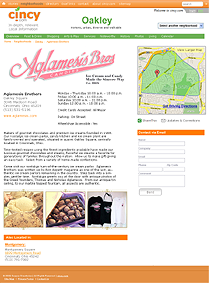 Blue Ash has a number of arts offerings, most notably free concerts in the town square during the warmer months. Many of these concerts are by the Blue Ash/Montgomery Orchestra, a professional orchestra funded by the two communities. Led by Michael Chertok, keyboardist of the Cincinnati Symphony Orchestra, the orchestra is made up of professional musicians. All of the orchestra's concerts are free. In Blue Ash, family-friendly entertainment is the standard, and most fine arts performances are designed with that in mind. Public recreation facilities are where Blue Ash really shines. The Blue Ash Recreation Center contains an outdoor Olympic-size swimming pool (the second largest in the area after Coney Island), water slides, eight outdoor tennis courts, two gymnasiums, two racquetball courts, a fitness center, a babysitting room, and more – with family memberships as low as $40. 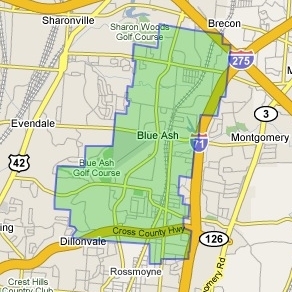 The Blue Ash Sports Center, at 37 acres, contains 11 baseball and two soccer fields, including Crosley Field and Riverfront restoration projects. 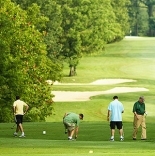 The Blue Ash Golf Course was named by Golf Digest as one of the top 75 municipal golf courses in the United States, and features an 18-hole, 6,800 yard par 72 championship layout. 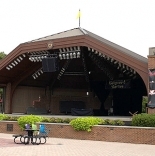 Blue Ash also contains over 150 acres of parks and grounds – one of the most popular is the Nature Park, a nature preserve which also has a nice Amphitheatre, for outdoor concerts. Another great place for a walk is right in the Towne Square, where festivals and free musical performances are frequently held. For those who enjoy a little electronic competition, the interactive computer games at Roxx Coffeehouse are a favorite for teenagers and the young at heart. And for those wanting to fly, lessons are available at the Blue Ash Airport.